Healthcare organizations primarily use barcode scanning systems to advance patient safety from admittance to post-care services. Capturing data without human interference eliminates the error-prone manual process and leads to productivity for medical teams. With healthcare solutions from POSDATA, you can track prescriptions accurately, improve lab efficiency, protect patient safety, and streamline your healthcare materials management. We provide Zebra’s healthcare-tested barcode and radio frequency identification (RFID) technology and media to meet your identification and tracking needs. Track prescriptions with accuracy and efficiency with Zebra thermal printers and high-quality media. We have the barcode and RFID solutions you need to identify and track orders, bottles, vials, IV bags, and unit dose packaging. Improve efficiency in the lab using barcode and RFID solutions to identify specimens with certainty and enter test results quickly and accurately, which in turn improves patient safety. Control costs and manage your inventory using barcode or RFID technology. Using timesaving barcode systems, you can identify and track all types of supplies, kits, equipment, and other assets throughout your facilities. The key mission of scanners in the healthcare industry is to improve the quality of patient care while reducing medication errors. Additionally, healthcare environments have requirements that scanners need to be regularly cleaned and disinfected. 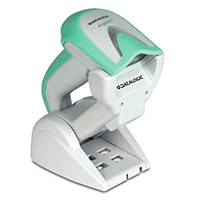 We recommend barcode scanners, such as Datalogic’s Gryphon GM4400HC, that have been specifically developed for healthcare environments with Disinfectant-Ready enclosures treated with anti-microbial additives. 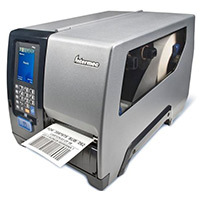 POSDATA offers a wide range of desktop and mobile barcode printers for healthcare environments. Mobile printers allow for printing specimen labels at the point of collection and printing a barcoded label for the patient’s chart. Desktop printers offer printing solutions for filing, patient records, prescription labeling, and laboratory samples. 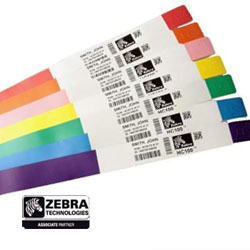 We provide and recommend an assortment of different barcode labels for healthcare applications, ranging from stock labels for your desktop or mobile barcode printers to Zebra’s IQ Color On-Demand Labels for color-coding your patient charts. Identify patients with assurance and protect patient privacy using long-lasting barcoded wristbands. Our wristband solutions provide single-pass printing and can encode data to comply with HIPAA privacy requirements. RFID wristbands are also available to track ambulatory patients and can be read through bed linens. Depot repair services are offered from our strategically located facility in Louisville, KY, and select repair partners. 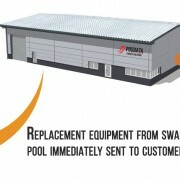 Depot repair is the most cost-effective and efficient way to keep your equipment up and running. 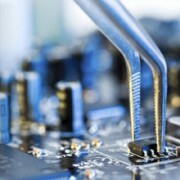 We provide repair on auto ID and point-of-sale equipment from an ever-growing list of major manufacturers. If our depot repair services do not cover your specific equipment, we will take care of the logistics to find contracted repair services for you. With years of experience designing and implementing complex data collection infrastructures, POSDATA’s Mobility Systems Engineers deliver the vital expertise and resources needed to quickly and efficiently install your technologies. We also provide on-site training programs and documentation catered to the specific needs of our customers.